The detective quantum efficiency (DQE) is often used as a figure-of- merit of imaging systems. The DQE of different digital mammography detectors have been measured. 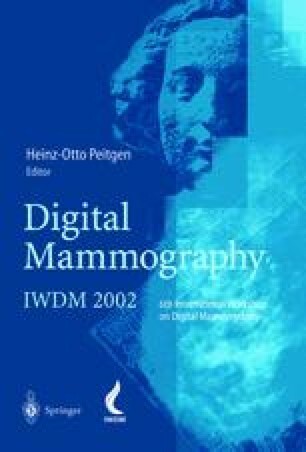 However, digital mammography systems usually employ some means to reduce the deleterious effects of scattered radiation. There are two different anti-scatter methods being used in full-field digital mammography: anti-scatter grids and slot scanning. These two approaches have different effectiveness in reducing scatter and require different amounts of extra radiation. We calculated the theoretical DQE of an anti-scatter device based on standard performance metrics. The DQE of a grid ranges from 0.4 to 0.6 depending on breast thickness and kVp. The DQE of a slot system ranges from 0.7 to 0.9 depending on breast thickness and slot width. The advantage of the slot-scanning systems in terms of DQE over grid systems disappears if the width of x-ray beam is not closely matched to the width of the detector.